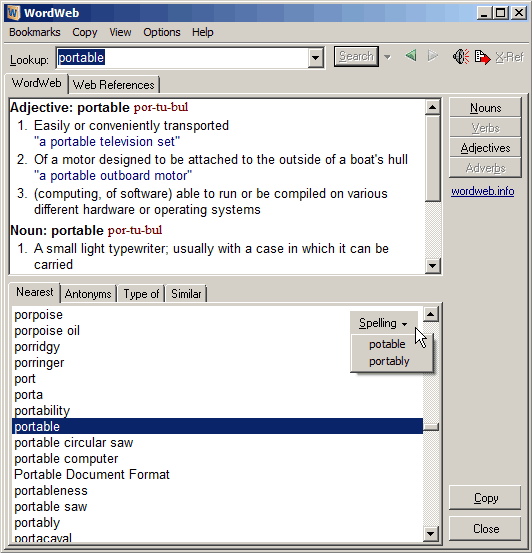 LingoPad is an offline dictionary program. It loads a German-English dictionary by default, but other dictionaries (German-Spanish, French, Japanese, Chinese, Turkish, Norwegian) can be downloaded as well. 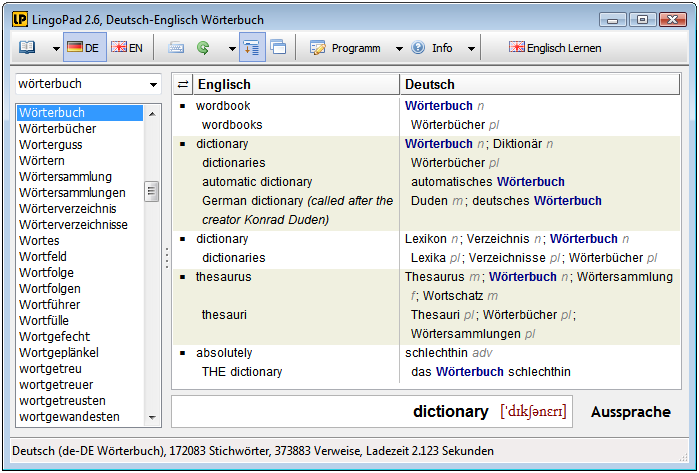 You can also import your own wordlists and use them in parallel with the existing dictionaries. 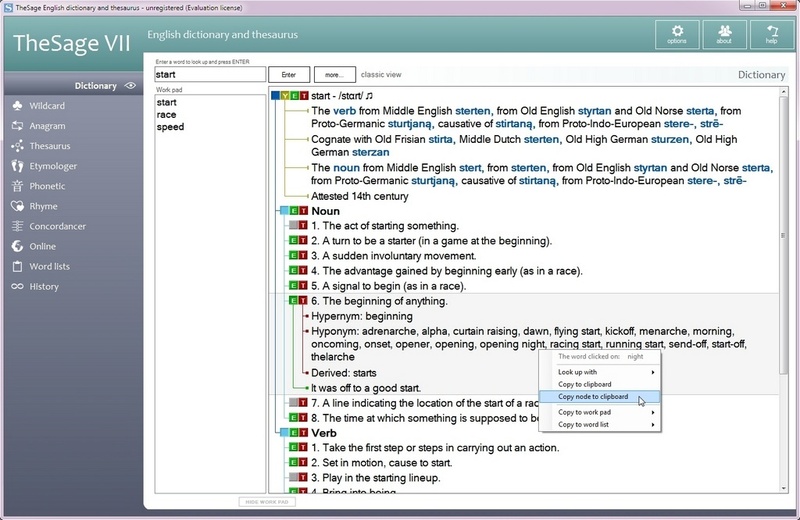 For each dictionary, a user dictionary can be defined to include additional wordlists. Writes settings to: Application folder. The file readonly.txt makes the program writes settings to options.ini in the application folder, but not all settings are saved. By default, the user interface is German. You can change that by selecting Programm, Sprache, English. Customized setup (select data directory on setup). Change font size with Ctrl++ / Ctrl+- / Alt++ / Alt+-. Faster import of own dictionaries. Faster loading of user dictionaries. Automatic translation on clipboard changes. sorry for the obvious question, but how do i choose read only mode? i did not see that option. a few more details would be helpful please. @mark: read the installation carefully, you'll see the option/check box. @Beez: thanks, got it now!